We pride ourselves on treating your home as we would our own, maintaining a neat and clean work environment. We only deliver work that we would be happy to receive in our own homes. Boss Plumbing has an amazing track record, with many clients giving us outstanding reviews. We have built our reputation for quality through a loyal customer base of repeat and new clients, who are all more than satisfied with the service they receive. 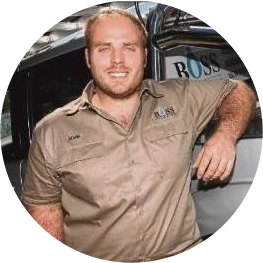 Boss Plumbing has experience in all areas of plumbing, including emergency repairs, maintenance, installation of new services, rainwater tanks, and drainage. We are able to give you a no obligation free quote, and remember…no job is too big or too small for The Boss! "What a lovely bloke! I am still in shock, contacted Adam last night (via email on his website) he contacted us straight away and came out to us in Logan Village on Monday afternoon with the job done. Highly recommend to the local community. Fantastic guy honest, reliable and trust worthy. Thank you Adam!"